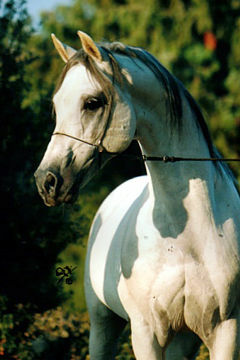 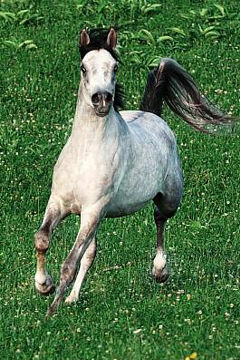 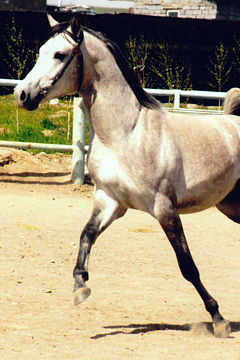 SHALOMON, Grey stallion, *1998 (Primo / Sheba). 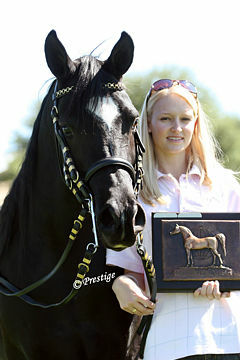 Breeder: Nina Tiainen. 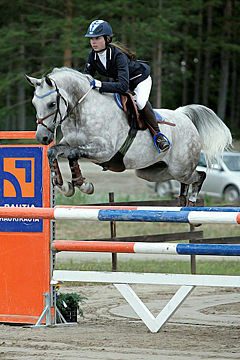 Owner: Anna Toikkanen. 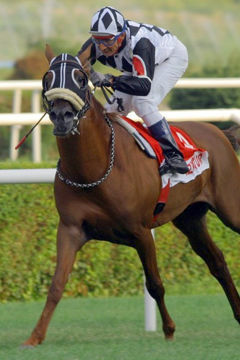 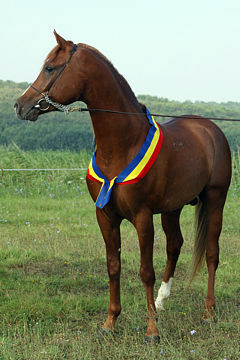 The best Finnish born stallion 1999; Class winner and Junior Champion Finland 2000 & 2001; 2nd place int. 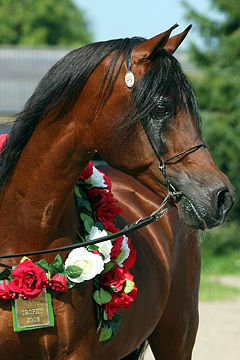 B-show Blommerod, Sweden 2002; Winner English Pleasure Blommerod, Sweden 2002; Class winner and champion Munkedal, Sweden 2002; Winner and champion English Pleasure Blommerod, Sweden 2003; 2nd place int. 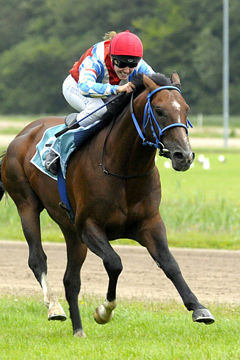 B-show Blommerod, Sweden 2003; 2nd place Swedish Nationals Halmstad, Sweden 2003; Winner English Pleasure Halmstad, Sweden 2003 Shalomon has been shown only three times in Finland and was undefeated. 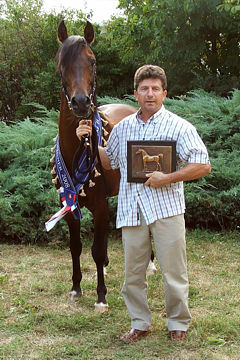 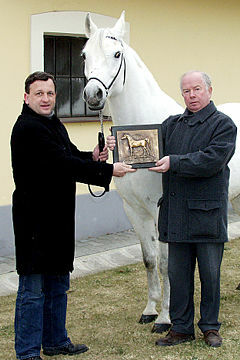 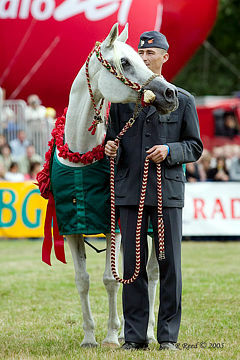 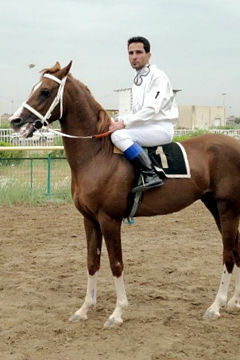 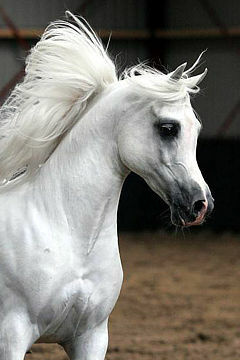 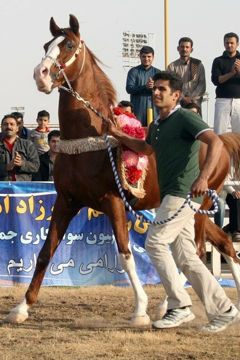 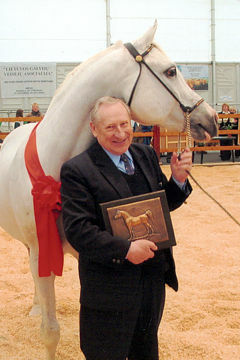 Shalomon was judged in the German Stallion Show in 2002, where he got a white ribbon. 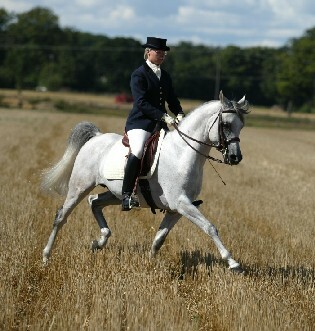 He was also approved as a first-class breeding stallion in Sweden in 2003 and also approved for Swedish riding pony breeding. 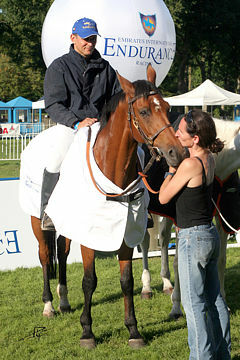 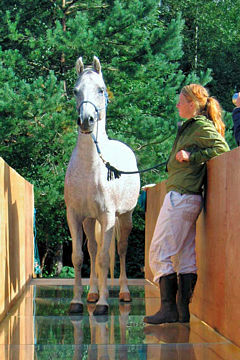 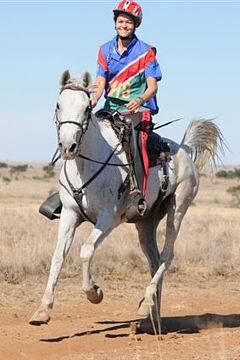 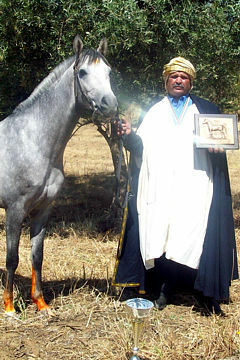 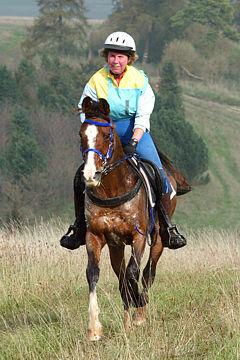 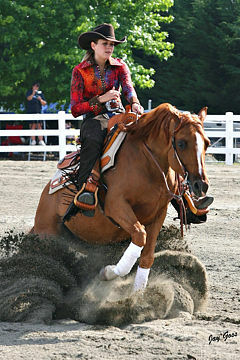 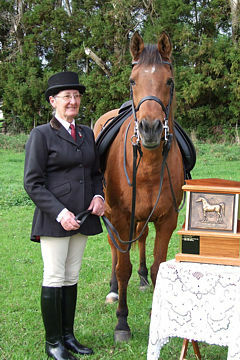 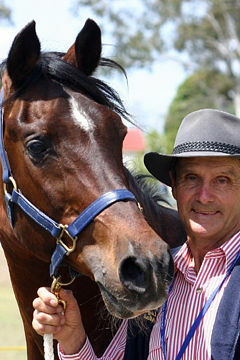 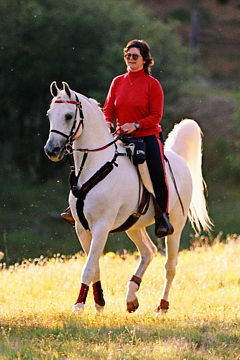 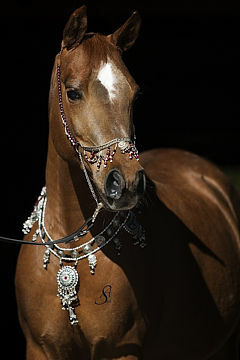 In Finland Shalomon was approved for Finnish warm-blood, Finnish riding pony and Arabian breeding in 2004. 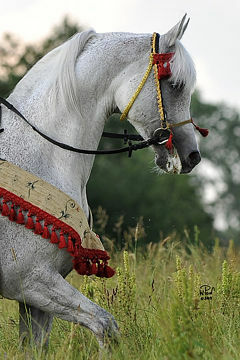 This approval by other breed societies proves his qualities and makes him an excellent ambassador for the Arabian breed in several countries. 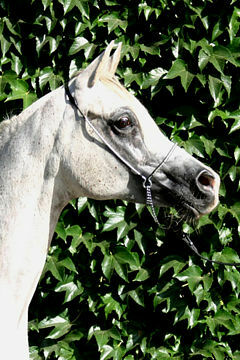 Having been used as a breeding stallion in Finland, Shalomon has now moved to Belgium with his owner, and there are high hopes for his foals in the future. 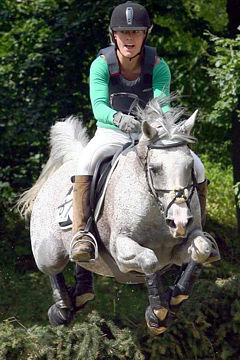 Shalomon showing off his dressage paces with rider Katri Wäyrynen.